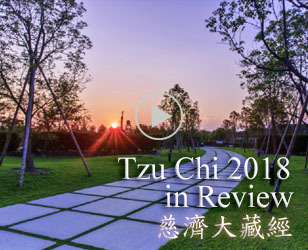 The board meeting was held at the foundation’s headquarters in Hualien from February 3-5; more than 250 Tzu Chi volunteers from 13 countries participated and shared their experience of the last year. It was an opportunity to tell accounts of a year of natural calamities of every kind, of how they overcame difficulties to bring help and of the joy that this brought. It was an opportunity for mutual encouragement and growing together in their spiritual home, the place where Tzu Chi was born. Before the end of each day’s meeting, the founder of the Tzu Chi, Master Cheng Yen, came to give her blessings and encouragement. Her words were a source of strength that brought everyone together and encouraged them for the year ahead. On the afternoon of February 5, delegates heard about one of the greatest disasters of 2011, the four months of flooding in Thailand. They received a briefing from the volunteers of the branch in that country. The flood waters remained from September to December, the worst in a century, and inundated 90 per cent of the capital Bangkok. They devastated the economy and lives of ordinary people. The volunteers from Thailand show images and videos to enable everyone to understand how they undertook the relief effort, taking to boats to provide cooked meals to more than 200,000 people, to comfort those who had taken refugee in shelters and encourage recycling. When teachers and students from the Tzu Chi school in Chiang Mai saw the extent of the disaster, they took buses at their own expense for a 28-hour ride to Bangkok, a distance of 700 kilometres, to join the clean-up effort. In three villages to the west of the capital, they started a ‘work-relief program’ which was very effective. When they started to do recycling in the flooded area, village chiefs were initially suspicious; but they were moved by the diligence of the volunteers. In the second week, during the clean-up of the village and returning it to normal, government officials came to see what they were doing and acknowledged what they had done. They hoped that Tzu Chi could do the same thing in more villages. The disaster enabled many more people to see the work of the foundation and moved rich people to see how they can lose their wealth through the force of nature; it caused an outpouring of love. Volunteer Hong Deng-xiong decided to return to Taiwan because of the floods; but, when he heard a speech by Master Cheng Yen, he decided to return to Thailand. Another volunteer, Zhuang Lie-zhong, is a wealthy man who runs a steel factory. The flood waters inundated his mansion of 2,000 ping (around 6,600 square metres). The two gathered the goods provided by friends; they took a boat to the flooded areas and distributed the goods. On December 17, the foundation organized a musical performance to give thanks and blessings: the public participation was larger than expected. One of those present, Wang Shu-mu, donated five million Thai baht, saying: “because I have seen Tzu Chi, I believe in them.” After the disaster is over, its Great Love will spread over Thailand. In doing charity in the Buddhist country, the progress was not as expected. For the volunteers, the biggest obstacle was their lack of fluency in the Thai language, which made communication difficult. But they have confidence as they look forward to 2012, to produce even better results. The conference also heard of the work in 2012 of the volunteers in Canada, whose number increased by 46 per cent during the year. They made an outstanding contribution to the work of recycling and made regular visits to 31 senior centers. Zhuang Liren, a volunteer in Toronto, shared a video shot by a member in a courtroom: it was the swearing ceremony at which new citizens take an oath of allegiance to Canada. The Tzu Chi volunteers were presented as model citizens! The whole audience of the board meeting clapped enthusiastically. Canada is a vast country with a small population. 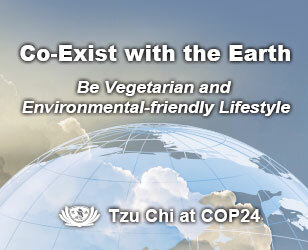 During 2011, the membership of Tzu Chi rose by 46 per cent and their greatest success was to promote recycling. Canada is a multi-cultural country and the members come from different countries, races and religions; because the volunteers are open and tolerant, they promote the missions of the foundation and do charity to help people. Last year 200,000 people saw the people in blue and white in action. The volunteers took part in many large-scale activities organized by local governments and civic groups, doing cleaning jobs that others did not want to do. For the first time, members from Canada took part in the 2010 Taiwan Culture Festival, doing recycling at the venues of the activities and encouraging members of the public to separate their goods and recycle them; this can reduce the level of waste by 70 per cent. Because of this, they will be invited to participate in large-scale activities in future. The wealth of a country does not mean that it has no lonely, old, poor and handicapped people. For the last 20 years, the Tzu Chi members in Canada has worked hard to take care of the people neglected by this rich country. In Toronto in the east, the volunteers provide scholarships to children who have come from Jamaica and Ethiopia. During the Christmas holiday, when Santa Claus provides stockings full of gifts, the volunteers provide winter clothing to the children of the homeless who receive no stockings; they use the teachings of the Jing Si Aphorisms (Still Thoughts) – ‘the beauty of the heart sees what is beautiful’ -- to look after the hearts of the children. On the east coast, the volunteers run Tzu Chi Academy to teach the humanities to 200 students, of whom half come from families from mainland China; their parents send them to the Tzu Chi school not only to learn Mandarin but also to study the wisdom of the Jing Si Aphorisms (Still Thoughts), which teach children about the traditional morality of China. Volunteers in Vancouver, on the west coast, have worked for the last 16 years with the Salvation Army to do winter distributions for homeless people. Among the goods they provide is high-quality shampoo; this has moved the recipients to tears because they felt that they were being respected. Tzu Chi is a long-term partner of Canada’s ‘Food Bank’, which the government set up in the interests of social stability and public order; it provides food to people who need it. Thanks to the participation of the foundation, the bank has a new source of food – fruit and vegetables, in addition to dried grains. Keen to encourage this, the government has provided farmland to Tzu Chi on which to grow fruit and vegetables. For 20 years, the volunteers have been paying regular visits to 31 senior centers, to which they provide cooked meals, the cutting of hair and spiritual care, including to those who are dying. Even though Canada is a rich country, there are always opportunities to give. 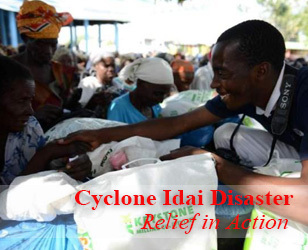 The government provides medical coverage but lacks all the funds it needs; this has enabled the volunteers to donate money for medical equipment and compensate for the government’s shortfall. For more than 10 years, in the western province of British Columbia, the foundation organized many visits to Chinese medicine clinics. Finally, the provincial government set up a department to manage them, becoming the first province in the country to issue licenses to Chinese medical doctors, giving the public an additional choice. The volunteers in Canada also provide scholarships to needy students and help them take part in summer and winter camps, enabling them to have the same rich experience as other children. This concern and attention to detail have earned the praise of the director of the education department. This recognition by the education sector meant that, after the 2008 Sichuan earthquake in China, 300 schools held fund-raising events for the survivors. The director of the foundation in Canada, He Guo-qing, explained their work and attracted the warm applause from all the participants at the conference. He did not dwell on the difficulties they faced; they have more than 300 commissioners and Tzu Cheng. For the last 20 years, they have promoted the ideals of Great Love, overcome the obstacles of language and cultivated the rich earth of Canada. Although the flowers of love have started to bloom, they are not satisfied and want to become the essential partner of the government. After the end of meeting on February 6 , everyone waited for the address by Master Cheng Yen, the highlight of the day. “Today everyone has sat together. You have said what you have done and done what you have said. Remember the good things in other people, consider your own shortcomings, replenish yourself and exercise a great compassion to relieve those who are suffering,” she said.